How did an essential figure in the modern revival of liberal political philosophy end up pondering issues of theology? For Enlightenment materialists like Frederick, the idea of the immortal soul was no more than superstition. Without it, there was no reason to give human beings any special status in the universe. As Jeremy Bentham said, “call them machines: so they were but happy ones, I should not care.” Now, two and a half centuries later, the fear of God handing down rewards and punishments in the next world has shrunk dramatically, and Frederick’s angry accusation points toward a more modern dilemma. Once human beings lose their fear of death, what becomes of the value of human life? If all there is to being human is the series of experiences, pleasurable or painful, that we go through, then, seen from an objective standpoint, one stream of experiences is no different from any other. So, if it is necessary to eliminate one—or many—streams in order to bring more, longer and more pleasurable ones into existence… well, why not? On the other hand, from the inside, what do individuals have except this set of pleasures and pains? Who but a monster could blame us for hanging on to it with all the strength we can muster? In short, while materialism encourages that characteristically modern form of political collectivism in which sacrifices that bring about the greater good are taken to be morally imperative, at the same time it leads to a world of individuals who have a sense of their own absolute uniqueness and importance—if only to themselves. The attempt to find a standpoint that can integrate this radical individualism with the claims of the common good is the great underlying ethical and political problem of modern life. 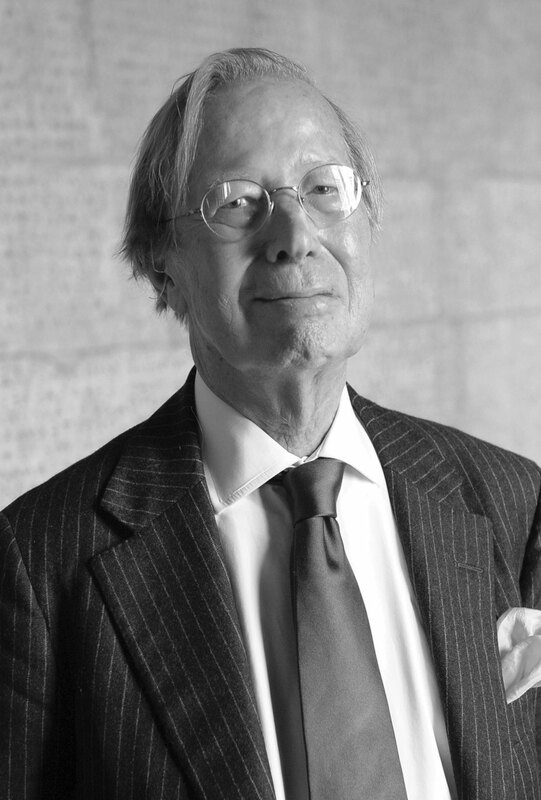 It also gives a framing perspective to Ronald Dworkin’s marvelous little book, Religion Without God, and helps explain how a brilliant young lawyer like Dworkin should have ended up pondering issues of theology. Dworkin had a long and spectacularly successful career: outstanding student at Harvard, Rhodes Scholar at Oxford, Harvard Law School, a clerkship with Judge Learned Hand, professorships at Yale, Oxford, New York University and University College London. In the course of it, he gave many public lectures and wrote numerous books and articles. Religion Without God was his last book, completed just before he died in February 2013. The sprawling body of Dworkin’s work can be read as a single whole, however—as an extended love letter to that most cherished of all Supreme Court decisions, Brown v. Board of Education. Brown raises issues of immense difficulty. What made it correct and its predecessors (say, Plessy v. Ferguson) incorrect? Or was each correct in its own time? If Brown was rightly decided, then why? A proper answer to those questions would require a full theory of legal interpretation—and, sure enough, Dworkin spent the best part of fifty years developing and refining one. Furthermore, to justify Brown v. Board of Education, one would need to explain why the decisions of courts have the authority to override even the settled will of the majority in some circumstances. Dworkin addressed that problem (the “counter-majoritarian difficulty,” as it is known), too. His answer is implicit in the title of the book, published in 1977, that established him as one of the essential figures, along with Robert Nozick and John Rawls, in the modern revival of liberal political philosophy: Taking Rights Seriously. So if rights are being violated—if human beings are held as chattel slaves, for example—then the fact that a democratic majority voted in favor of the arrangement makes absolutely no difference: no political procedure could possibly make it justifiable. On this view, morality sets limits on politics and, to the extent that courts are the embodiments of morality—if they are the “forum of principle,” as Dworkin liked to call them—their exercise of authority to oppose political wrongdoing is legitimate. Yet there is a very important difficulty with this “subjectivist” position. When ruthless utilitarian aggregators defend their view, they can justify it by pointing to the way it leads to the advancement of something that is evidently good (happiness) or the avoidance of something bad (suffering). It means that there is an immediate, intuitively plausible response when utilitarians are asked what kinds of values underpin their moral theory. Yet what justification can be given by someone who rejects that view? What is it about the individual whose life would otherwise be sacrificed for the collective good that makes the sacrifice wrong? To say that she or he has a right not to be put to death in order to save others is just to put a name to the problem. We also need, it seems, a satisfying reason why—something about the victim that explains why he or she has a value that overrides instrumental calculations about the greatest good. It is at this point that religious-sounding vocabulary tends to slip back into the discussion. Rawls, for example, talks about each person having an “inviolability founded on justice,” although he does not explain just what “inviolability” might amount to. I think Dworkin took something like Rorty’s position when he published Taking Rights Seriously in 1977. But thirty-six years later, by the time of Religion Without God, he held a different and far stronger view: human beings do indeed have a special value that can’t be overridden (religious thinkers commonly call it “human dignity”), though not because it comes from God. To the contrary, values exist independently of God. I will not have convinced some of you. You will think that if all we can do to defend value judgments is appeal to other value judgments, and then finally to declare faith in the whole set of judgments, then our claims to objective truth are just whistles in the dark. But this challenge, however familiar, is not an argument against the religious worldview. It is only a rejection of that worldview. It denies the basic tenets of the religious attitude: it produces, at best, a standoff. You just do not have the religious point of view. This expresses precisely my own reaction. I cannot see that describing the target of our disagreements about value as existing in a fully independent, objective realm is anything more than religion lite: the religious idea of eternal goodness without the miraculous elements of omnipotent divine will and personal immortality. Yet I am at one with Dworkin in thinking that even a fully secular individual should contemplate the universe not just with curiosity and wonder but with reverence and gratitude. Still, behind me I hear a voice—a Nietzschean one, perhaps—that tells me that what Dworkin and I are looking at is no more than a penumbra, the few rays that remain in the sky after the sun of revealed religion has set. If that is so, then the coming night may be dark indeed. Michael RosenMichael Rosen, a political philosopher who teaches in the department of government at Harvard, is the author of Dignity: Its History and Meaning.